This beautiful building of 'India Gandhi Planetarium' at Lucknow is unique in the World. 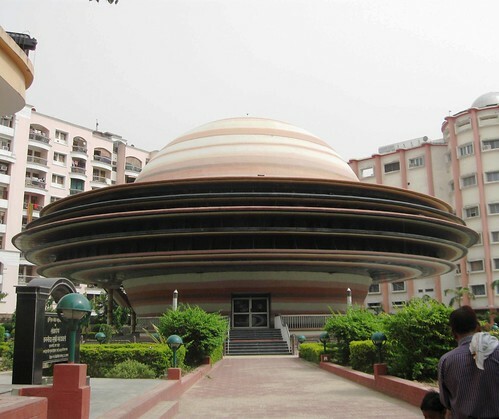 It is the only building in the World which is shaped like Saturn. Built in 1993 it is named after late Indian Prime Minister Indira Gandhi. Besides the planetarium at first floor it also has a museum of Indian space programme at ground floor which contains models and charts of Indian satellites and rockets. The 21 metres diameter building has 5 outer rings which house the administrative office etc. Yes. For last two years, I have been taking my 3 grand children to the Planetarium, when they visit me during the summer holidays. Besides the planetarium show they also enjoy the interactive models.